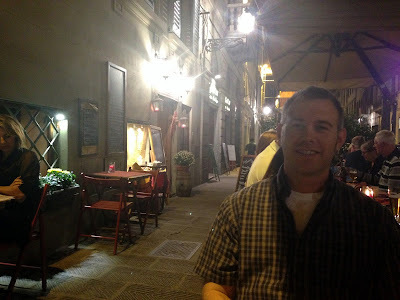 If I'm actually going to get through Florence this month, I definitely need to combine some of my food posts :) As I mentioned earlier, we found that we did not enjoy the food scene in Florence quite as much as in Rome and southern Italy--whether that's because it was at the end of our trip, or simply because of the specific regional specialties, I don't know. Still, there were fabulous highlights (like the pasta and grilled meats in Rignana) and memorable experiences (like our dinner at Il Latini on the last night of our trip, which will get its own post next week). Perhaps the most notable thing about Florentine food is the bread: They do not put salt in it. Have you ever tasted bread without salt? I have. Repeatedly. Every single time bread was set before us in a restaurant, we kept tasting it, thinking--"maybe this place doesn't hold to the tradition." Nope. Salt-less bread. SO WRONG. Thankfully our guide on the wine tour explained this phenomenon to us before we experienced it firsthand, so we were prepared for it instead of surprised and horrified by that first bite. Apparently it goes back centuries, to the time when Italy was a non-unified collection of city-states. 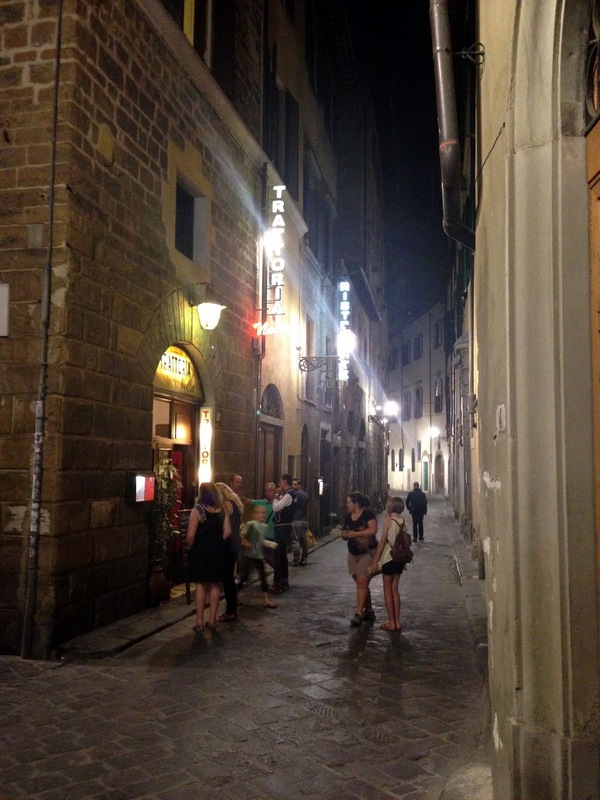 Florence and Pisa were big rivals--to the point that they have an old Tuscan proverb which roughly translates, "Better a death in the family than someone from Pisa on your doorstep." I can't remember the details--either Pisa was the producer of salt, or maybe Pisa had control over the port where salt would come in--but however it went, Pisa was able to block Florence from getting salt. And whatever Florence did to make Pisa mad, the result was that Pisa refused to allow the salt inland...so, the Florentines began to make bread without salt. And they stubbornly stuck to it even when they were later able to get salt. 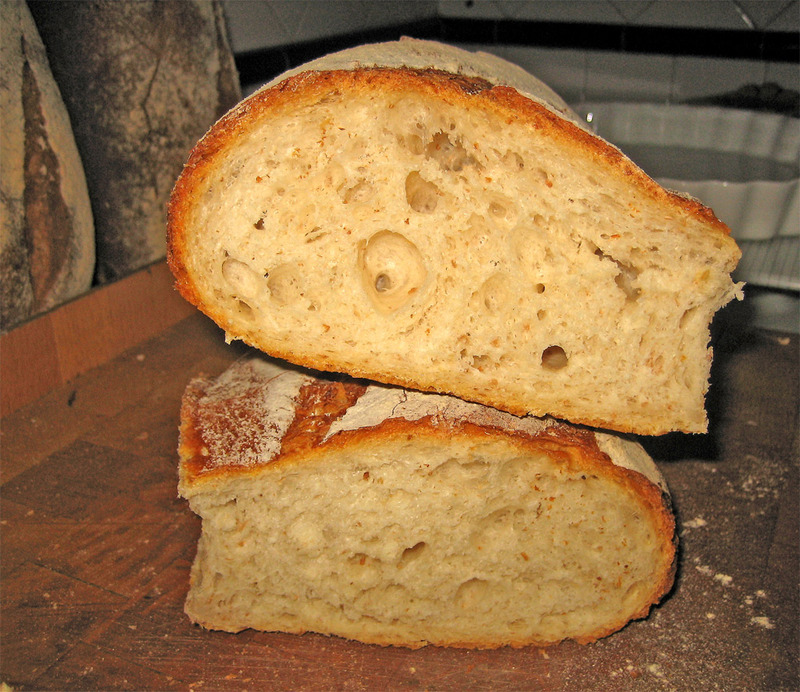 Thus, pane toscano (Tuscan bread) was born. Foodies may argue that it is uniquely delicious, especially appropriate for use in certain Tuscan soups or as a contrast to the super-salty cured meats. I say, bread needs salt. Amen. One of the other fascinating stories our guide told us was about the Arno River. Pisa is downstream from Florence, and once upon a time, Ponte Vecchio (the oldest bridge) was the home of the meat markets. What did the butchers do with their rotten meat and scraps? Toss them in the river and send them along to Pisa. So you can just imagine how much Pisa loved Florence, receiving their smelly, spoiled meat all the time. 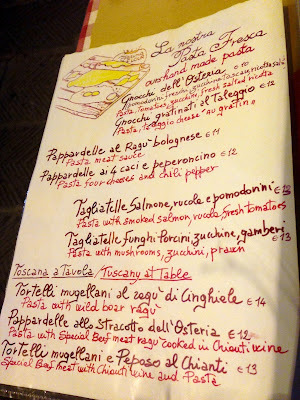 ...and a charming hand-written menu. Always a good sign! I, on the other hand, do not feel physically bad from lack of vegetables, and I did not go to Italy to eat salad. 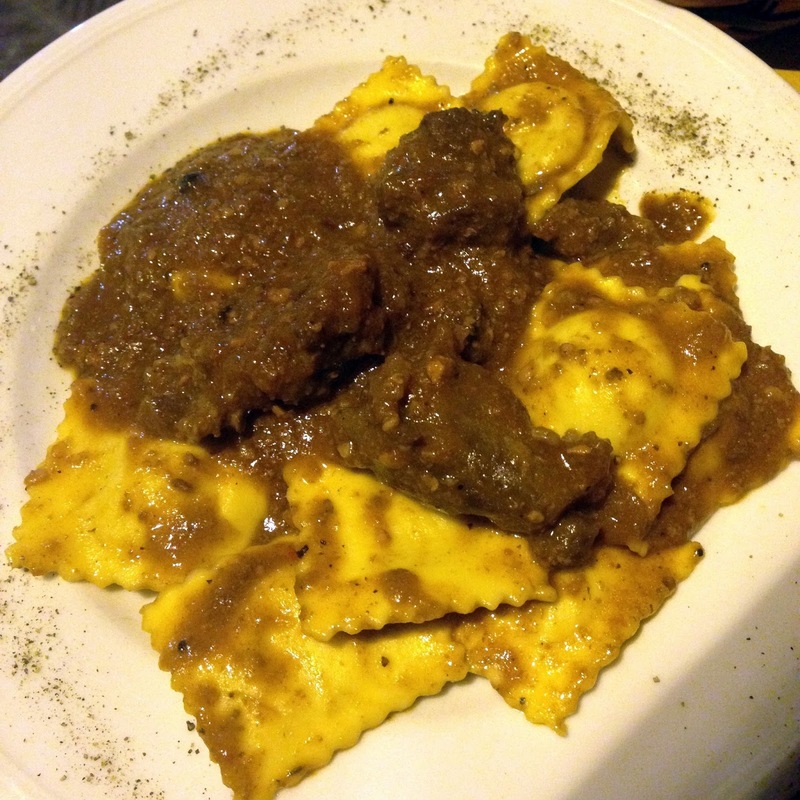 :P For me, it was tortelli mugellani al ragu di cinghiale: tortellini with meat sauce made from wild boar sausage. 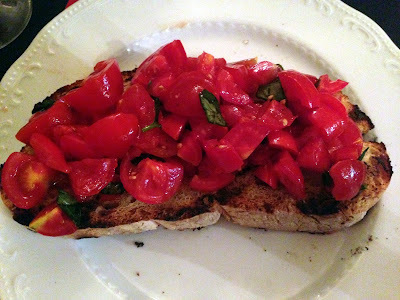 We'd already discovered earlier in the day that we really liked cinghiale, so this seemed like a good bet. Buuuut...truthfully, it was too heavy after all the food we'd eaten earlier in the day. 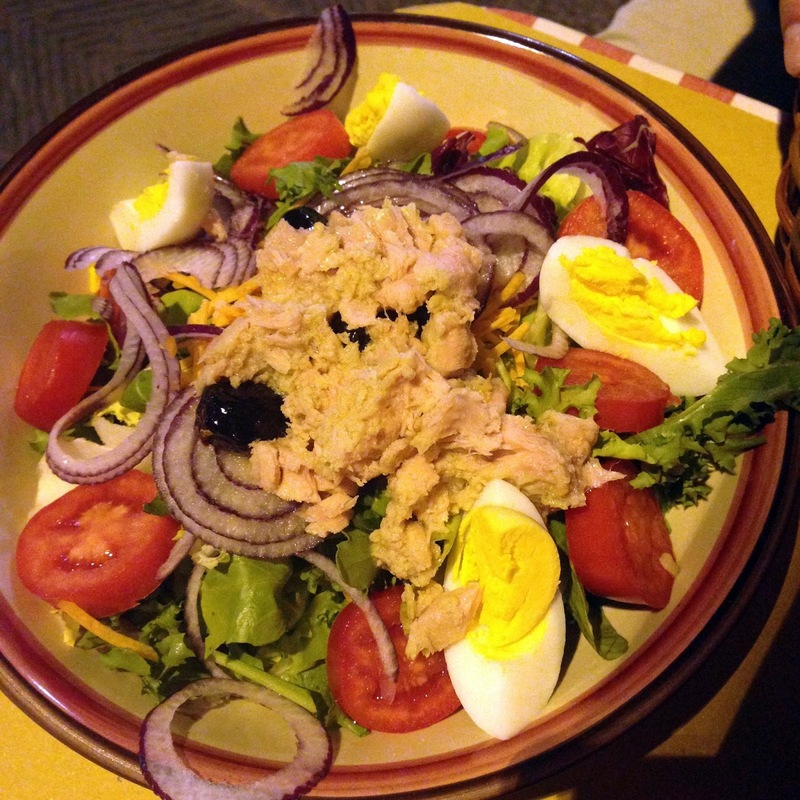 It was OK, but I didn't enjoy it as much as I might have if I'd eaten it a different time. Fine, maybe Steve wins this round. Don't tell him I conceded. 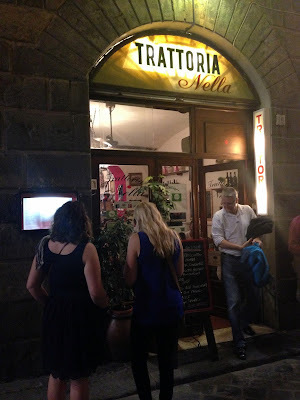 On Tuesday night, after our full day of sightseeing at the Duomo, San Lorenzo, Mercato Centrale, Santa Maria Novella and the Accademia, we headed to Trattoria Nella. 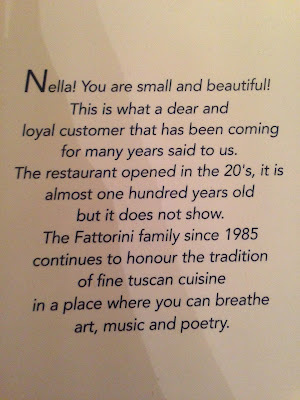 This place had come highly recommended by an acquaintance who spent a semester of college in Florence and insisted we MUST try Nella. 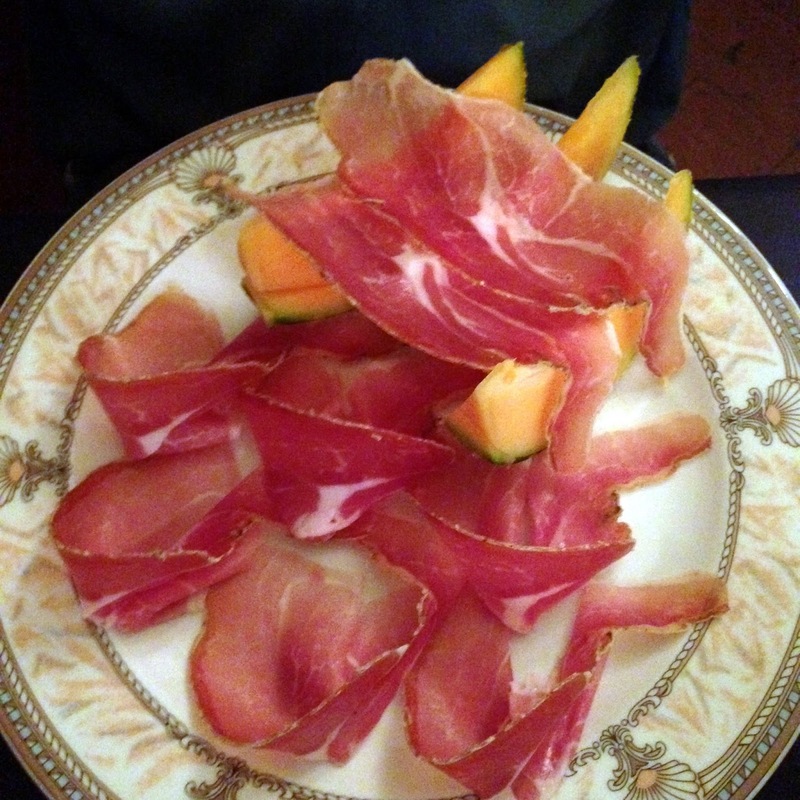 ...and Steve wanted to finally try something we'd seen in almost every single restaurant: prosciutto e melone. I hate cantaloupe, but the prosciutto was delicious. Steve thought the sweet-salty combination was quite satisfying. 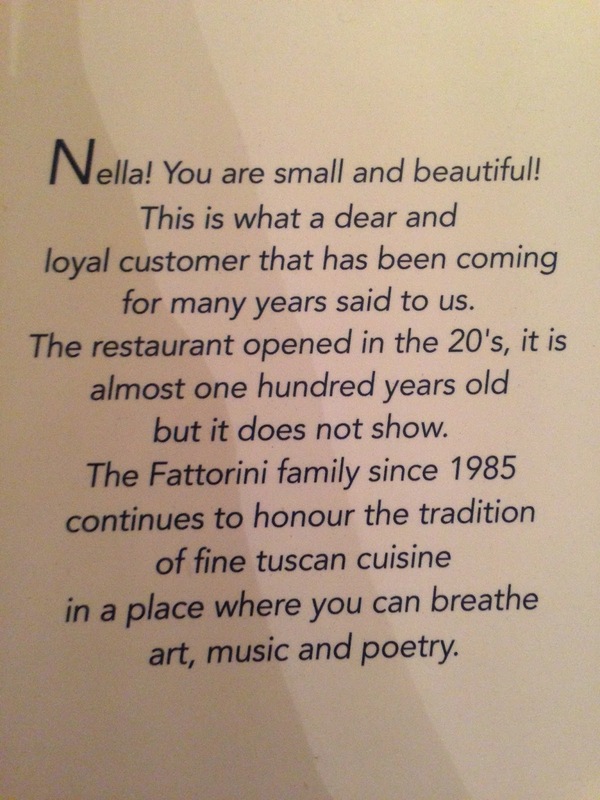 Our friend had recommended a dish with walnut pesto, but it just didn't sound good to me at the time. 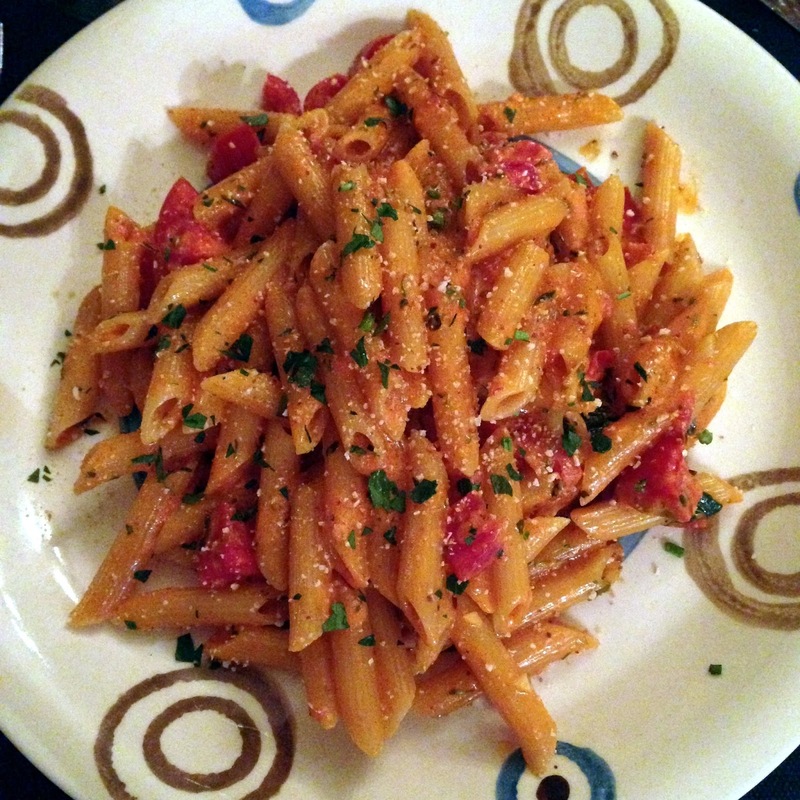 I figured ordering a dish named for the restaurant was probably a good choice, and I enjoyed my penne Nella (pasta in a tomato and cream sauce with herbs). 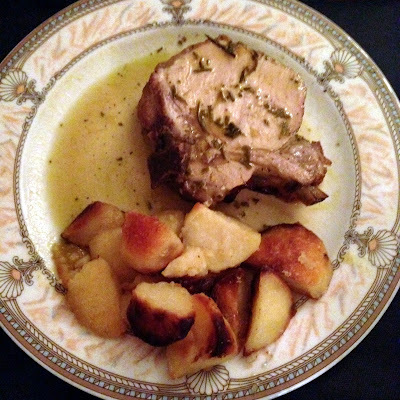 Our secondo was arista con patate--roast pork with potatoes. It was fairly unremarkable as I recall. Our final experience with Tuscan food came on our last night of the trip, when we tried three different kinds of traditional soups. 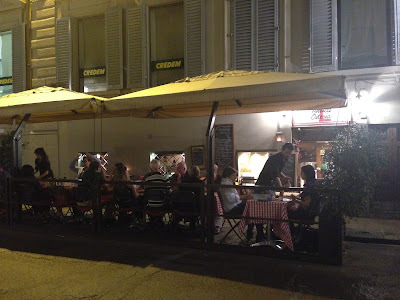 More on our dinner at Il Latini next week.